We hope everyone is off to a great start. The children are amazing. It is such a great honor to impact your children through education and character development. A big “Thank You” to all of you who helped make our Patriot Observation a great success. We also wanted to thank all of you who came to “See you at the Pole” to pray for our school. We believe the students are learning the important lesson of honoring those who care for us in our community as well as the privilege to live in America every day. Spelling Bee – There is a parent/student Spelling Bee info meeting on Tuesday, October 25, in the library 3:30pm – 4:00pm. Spelling Bee practice for students 4th through 8th grade begins Tuesday, November 1, 3:30pm – 4:00pm in the Library and will be held every Tuesday until the Spelling Bee scheduled for Thursday, December 8, 2016, in the cafeteria. Permission slips for practice can be found on our website. Ice cream Friday’s has begun in the cafeteria. Students who have $1.00 cash can purchase ice cream on Fridays in the cafeteria at lunchtime. They cannot use their lunch account for this purchase. Vision and Hearing screening is usually scheduled for Thursday, October 20, and Friday, October 21. We can use up to ten volunteers a day. We will train you if necessary! If you are interested in volunteering, please email renee.stubbings@legacyk8.org. If you are a working family who has difficulty getting your volunteer hours taken care of during the school year, we are looking for a team of people who would be responsible for keeping our property mowed and trimmed throughout the summer. We could really use some people with a tractor and brush hog (field mower). Please e-mail Ms. Anne if you would like to be a part of the team at anne.stanley@legacyk8.org. Roofers & Construction Help Needed- We are looking for help with a roofing project, as well as a construction project. If you could assist on a team with this type of project, please call Ms. Anne (303)646-2636. Wednesday, October 5 ~ Friday, October 7 – Sixth grade Outdoor Adventure Trip. “All School Assembly” at 8:15am in the gymnasium, Hawkquest will present. Fourth through Eighth grade will begin promptly at 8:15am. Kinder through 3rd grade will start their assembly at 9:30am. The assembly is one hour. Fourth grade “Wax Museum” in the cafeteria from 2:00pm – 3:00pm. LA Governing Board Meeting at 6:30pm. Fourth-grade field trip to State Capitol and Historical Museum. Picture Retakes, please send back the original packet with your student if you would like retakes. If your student was absent the day we took photographs they will be able to have their picture taken today. Please let the office know if you need an order form. Fall Sports Pictures ~ Please make sure your student has their uniform and proper shoes/socks for the pictures. Elementary ROAR Assembly 8:00am-8:30am in the gymnasium. Middle School Dessert Bar (Honor Roll from last quarter of last year) in the cafeteria 2:00pm-2:30pm. Second Grade Field Trip Four Mile Historic Site 9:00am to 2:00pm. Friday, October 28 ~ Teacher In-Service/ No school for students! 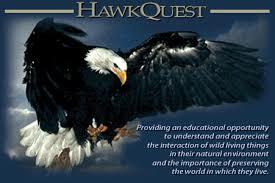 We are so excited to have Hawkquest come to Legacy on October 5th, which is our official count day. Every year on count day, we must verify our attendance and report it to the State of Colorado. All students are encouraged to be in school on October 5th and not miss this important and fun day. Students will see live birds of prey up close as well as see one of them in flight. This will be an entertaining and educational event that students will love. Please make sure that your student(s) are here and don’t miss this exciting event. This year our official count day is October 5th, which is the date that we must report our attendance to the State of Colorado to verify our enrollment numbers. The actual verification window begins on September 28th through October 12th. We ask that you do not schedule appointments or pick up your student early on count day. On October 5th, we have scheduled a special assembly for all the students to enjoy and be a part of. Thank you for your cooperation and being a part of Legacy Academy. Monday, September 26th ~ No School/Fall Break. See you at the Pole, 7:00am This is a student led prayer time around the flag pole that is a global activity. Students and parents bring a breakfast item to share and come to the cafeteria for a quick breakfast at 7:00am and then gather around the flag pole at 7:15am to pray for their school, friends, churches, and community. Elementary ROAR Assembly 8:00am in the gymnasium. Fun Run Fundraiser for all students. All School Dress of Choice, all students wear their fun run shirt and comfortable running clothing. Last day to register for Girls on the Run is tomorrow! Scholarships are available. Register at girlsontherunoftherockies.org. Contact Tara McFarlin via email: trmcfarlin@me.com or call720-315-6108. Congratulations on a job well done! 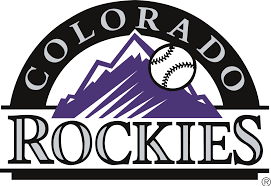 It was a difficult decision but after hours of reading essays from our 6th-grade students, we are proud to announce Emerson Lamansky, Caiden Paillette, and John Williams essays have been chosen as the top three essayists for the 2016 Colorado Rockies Youth Essay Contest. The writing topic this year is “Make an Impact,” which is inspired by baseball legend and humanitarian Roberto Clemente, not only the way he played baseball but also for always seeking ways to help his community thrive. Clemente will always be an example to follow on and off the field. The hope is that sharing his story, students will be inspired to write about the heroes in their lives who have made a positive impact on the world or how the see themselves with that challenge in their own lives. The GRAND PRIZE this year is a COLORADO ROCKIES MAKE AN IMPACT ASSEMBLY hosted by DINGER for your school. 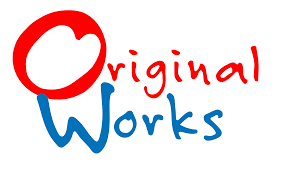 Original Works Art Fundraiser Coming Soon! We do need help with this great event. To Volunteer, please Sign Up By Clicking Here. Nerf Night 6:00pm – 8:00pm in Legacy Academy gymnasium on September 16th! This is an excellent time for families to play together. Parents are encouraged to play! Ages 7 and up (6yr olds may play if a parent is in the gym with them at all times, but all parents should stay for the event). The cost is $10.00 per person. Students may not bring their blasters to school during school hours. Bring your own blaster to the event. Do not bring darts or discs. Protective eyewear is provided. Parents will be required to sign a waiver prior to this event, no exceptions will be made. The waiver will be available at the office during school hours or at the event. If any questions, please e-mail LABOD@legacyk8.org. Patriot Day Observation 8:00am in the gymnasium. Please invite all your friends and family who serve or have served our country in the armed services, firemen, and women, nurses, doctors, police officers, teachers, etc. to our observation! All children involved in a community service oriented club may wear their uniforms including Girl and Boy Scouts, AWANA, ROTC etc. 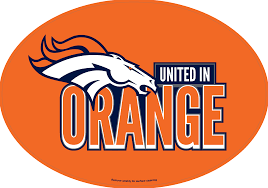 This Thursday, September 8th is United in Orange Day to recognize the first day that the Denver Broncos play for this season. Students are welcome to dress in orange, this is not mandatory, but optional. Students must follow the dress of choice guidelines as listed in the Parent-Student Handbook located on our website.